A short sale may be the easiest way out of foreclosure, However, never-ending paperwork, arduous documentation, and strict regulatory requirements form the major drawbacks which delay the short sale process and make it an unending affair. The only way to succeed in this situation is to outsource short sales services to professionals like us. We handle all back-office services for mortgage short-sale services while freeing you to focus on more important tasks. Outsource2india is a leading short sale service company backed by 20 years of experience in cutting down processing time and helping lenders adhere to a strict time schedule. We provide end-to-end mortgage short-sale assistance, from managing property listings to making and forwarding offers, etc. Why Choose O2I's Short Sale Services? FYI, I have been impressed with your team's ability to learn our system so quickly. They seem to have a good grasp on how our system works, they even had to correct me on something today. Rajeev's response and attention to detail have been impressive and appreciated. I know he is on this email, so I hope I'm not making him blush. Outsource2india is a leading provider of short sale services in India with client base spanning 100+ countries across the world. Being an ISO certified company, we have been providing quality short sale services support in addition to other mortgage services for over 20 years now. Our cost-effective services help our clients save both time and money which would otherwise be spent on hiring and training team of mortgage experts. We ensure that all our short sale processes are completed in a very quick TAT. Our regulatory compliant process ensures complete compliance with the industry standards. 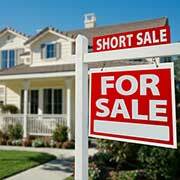 If you are looking for a reliable short sale service provider, then look no further. Feel free to reach us and we will be more than happy to help you.